Star soccer player Mesut Özil posted a four-page statement to his social media accounts Sunday explaining his decision to quit playing for the German national team, citing racism over his Turkish heritage. Why it matters: Özil's shock resignation comes just one week after France — a team where 12 of 23 players were of African heritage — won the World Cup, igniting discussion of celebrating diversity in the world's most popular sport. The backdrop: Özil is a third-generation Turkish-German and a practicing Muslim. 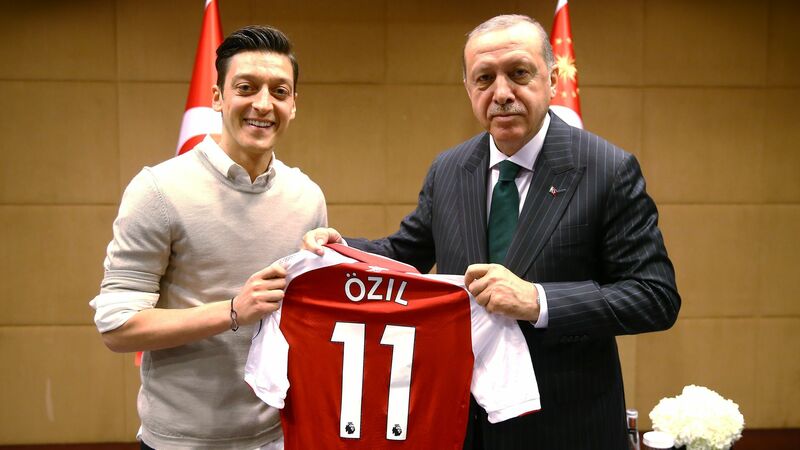 In May of this year, during the lead up to Turkey's general election, Özil met and posed for a photo with President Recep Tayyip Erdoğan. He received immediate backlash from critics who saw the meeting as an endorsement of Erdoğan's strongman politics. After Germany's poor World Cup performance, which saw the tournament favorites crash out in the group stage, Özil said he received criticism not just for his play, but for his Muslim and Turkish heritage and the two-month-old picture with Erdoğan. Özil explained that his mother raised him to never forget his roots and to respect public office. This, he said, is why he would have met with the president of either Turkey or Germany if the opportunity came up, regardless of whether he agreed with their politics. He also accused the head of the German Football Association, Reinhard Grindel, of racism: "In 2004 whilst you were a German member of Parliament, you claimed that 'multiculturalism is in reality a myth [and] a lifelong lie' whilst you voted against legislation for dual-nationalities and punishments for bribery, as well as saying that Islamic culture has become too ingrained in many German cities." Quote"I am German when we win, but I am an immigrant when we lose." Turkish Justice Minister Abdulhamit Gul: "I congratulate Mesut Ozil, who by leaving the national team has scored the most beautiful goal against the virus of fascism."